Discover the surprising potential of one small seed in The Marvelous Mustard Seed. 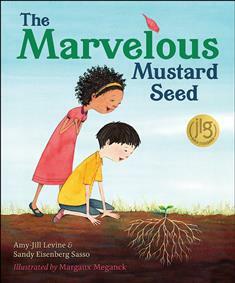 Based on Jesus’ parable of the Mustard Seed, this inspiring children’s book shows young readers that one tiny seed—just like one small child—carries a world of potential. The Marvelous Mustard Seed features ethnically diverse characters, and it is ideal for children ages 4-8. A special note for parents and teachers is included.